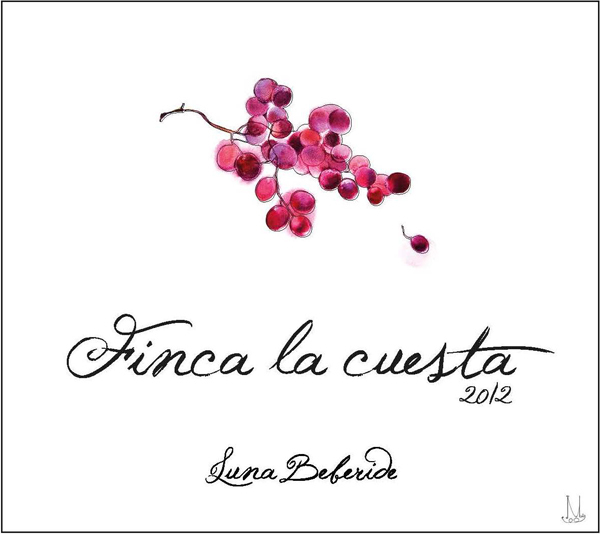 90+ View from the Cellar The 2012 Finca la Cuesta from Luna Beberide is quite a ripe example of Mencía, tipping the scales at a full 14.5 percent alcohol. The wine is produced from sixty year-old vines and raised in a fifty-fifty blend of new and one wine French casks. The 2012 offers up a deep and complex nose of sweet dark berries, slate, espresso, gentle botanicals and lead pencil-like new oak. On the palate the wine is deep, full-bodied, focused and complex, with a fine core, lovely Mencía poise and a long, slightly warm and discreetly tannic finish. These old vines have really produced fine raw materials, but I am not really sure what the French oak influence brings to the party, as it seems to obscure much of the soil flavors here, while poking out with just a touch of tannin as well on the backend. If the team at Luna Beberide will just keep using the same casks for the next ten years, the wood should integrate even better and the soil elements here (which hover in the background) could more fully take their proper place and the wine would really shine! I assume the 14.5 percent alcohol level here is simply reflective of the extraordinary nature of the 2012 vintage, as it is a bit too high for greatness, and I look forward to tasting future vintages, which I hope to see in the thirteen percent range. This is a very good wine in 2012, but it could be spectacular with just a bit less octane and makeup! 2016-2025+. 88 Wine Spectator This firm red delivers a beam of cherry fruit, framed with smoke, licorice and mineral notes. Not a muscular wine, but has density and grip, with enough acidity for balance. Mencía. Drink now through 2023. 92 View from the Cellar The Finca la Cuesta bottling of Mencía from Luna Beberide is and old vine cuvée, with the vines ranging from sixty to seventy years of age and the wine raised in a blend new and one year-old French barrels. The 2015 version is an excellent follow-up to the fine 2014 bottling, delivering a refined bouquet of cassis, pomegranate, espresso, a complex base of soil, cigar smoke, a touch of tree bark and a very discreet base of cedary oak. On the palate the wine is deep, full and plenty solid at the core, with good acids, ripe tannins and excellent focus and grip on the beautifully-balanced, nascently complex finish. This has a bit more mid-palate depth than the 2016 regular bottling of Mencía, as well as a bit more tannin and deserves a year or two in the cellar to start to blossom properly. Another superb value from Luna Beberide! 2020-2040+. 92 Wine Review Online I'm quite sure that I've tasted every vintage of Finca la Cuesta ever made at Luna Beberide, and there's no question in my mind that this is the best of all of them. In fact, it was as good as some vintages as Luna Beberide's "Art" bottling of Mencía, which is a wine that rings up at more than twice this price. 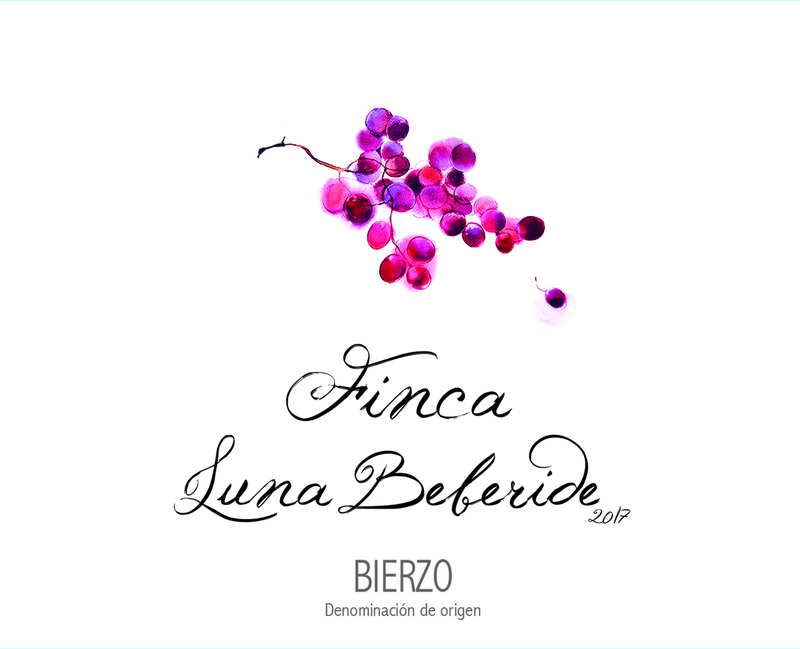 As an aside, lest you conclude that I've lost my critical edge, the 2015 regular, un-oaked "LB" bottling of Mencía was very disappointing, especially in view of this being a vintage that winemakers in Bierzo are quite excited about. There's always a chance that I had an unrepresentative bottle of 2015 LB, so I'll be looking for another bottle to try. What you should be looking for is this terrific Finca la Cuesta, which is an object lesson in Mencía's uncanny ability be be fresh and bright while also showing real depth and guts. The faint violet aromatic topnote is lovely, and subtle scents of spices also lend interest. The wine is really medium-bodied, but "punches above its weight" with excellent fruit intensity and an impressively long finish. For $22, this is undoubtedly one of the strongest values I've tasted during 2017, and a wine that I'd pour with pride in my home regardless of who was at my table. Indeed, King Felipe VI, should you drop by, I promise to crack open a bottle of this for you. 92 Wine & Spirits Magazine Finca la Cuesta was planted more than 60 years ago on the slate-and-clay soils of Villafranca de Bierzo. This wine’s black fruit flavors are tart and compact, the structure tight and firm, with tannins that need time to expand. For the moment, it feels closed on itself. Decant a bottle for braised veal, or leave it in the cellar for two to three years. 91 The Wine Advocate The 2015 Finca la Cuesta was still a little oaky when I tasted it, but it had the herbal and pungent character Mencía is sometimes capable of having. It felt slightly riper than the 2014 but without any excess. It's intense and concentrated, powerful and with balance. This should develop nicely in bottle. 50,000 bottles produced. Drink Date 2017 - 2021. 90 Wine Spectator This red shows good density, with firm tannins and bright acidity supporting cherry, strawberry, mineral and smoky flavors. Rich and lively. Drink now through 2027. 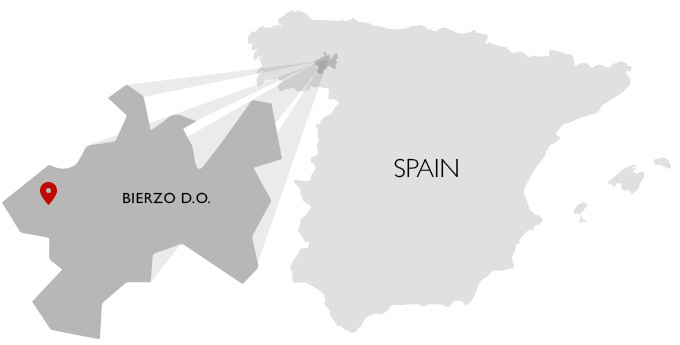 90 International Wine Report A gorgeous value Bierzo, the 2015 Finca La Cuesta was sourced from estates 60 year old vines that are set on calcareous clay and slate soils. The nose entices with a nice combination of red and blue fruits with Asian spices rounding out. The palate shows really good tension and smoothness, as this feminine style wine builds in the glass and shows a seamless quality with lighter red fruits and a touch of milk chocolate. 94 JamesSuckling.com Crushed roses and violets with pepper and wild berries. The palate has a fleshy and succulent core of rich black-cherry flavor. Long and smooth with regal tannins. Classy stuff. Drink or hold. 92+ View from the Cellar The “Finca la Cuesta” from Luna Beberide is made from older vines than his regular bottling of Mencía, as these vines range from sixty to seventy years of age. This soils in this vineyard are a combination of clay and slate and the wine is raised entirely two and three yearold French casks. 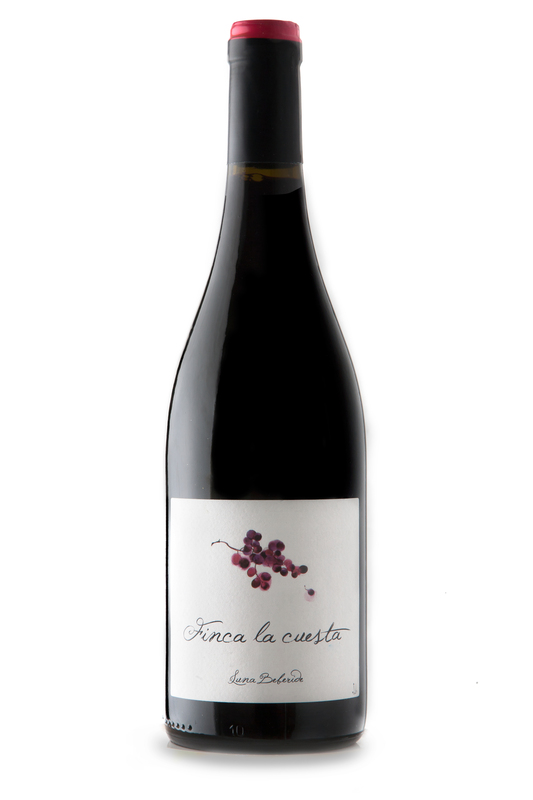 The 2016 vintage of Finca la Cuesta is an excellent wine, delivering a fine nose of blackberries, pomegranate, graphite, coffee bean, woodsmoke, a touch of licorice and a fine base of soil. On the palate the wine is fullish, complex and intensely flavored, with a lovely core, excellent transparency, ripe, firm tannins and a long, nascently complex and very promising finish. This is a bit more structured out of the blocks than the regular bottle of Mencía and should be cellared for a few years, but once it blossoms, it is going to be excellent. 2024- 2060. 91 The Wine Advocate I favored the 2016 Finca la Cuesta over the 2017 I tasted next to it (which changed its name, by the way), even if I could detect a note of oak after the wines had been sitting in the glasses for a while. The color is a bright ruby, and besides the smoke and spices, which are quite mild, there are notes of acid berries and wild herbs with an earthy twist. The palate is lively, medium-bodied and with good freshness that lifts the finish up. 50,000 bottles produced. It was bottled in January 2018. 90 The Wine Advocate I had two vintages to taste of the Mencía cuvée that used to be called Finca La Cuesta but has been renamed as the 2017 Finca Luna Beberide. Tasting it side by side with the 2016, you could notice the differences of both vintages, where the wines from 2017 have more color and higher ripeness. This is also more primary and a little grapey. 50,000 bottles.